Cindi Fortmann is a Certified Professional Photographer at Cindi Fortmann Photography, specializing in Professional Headshots, Luxury Portraits, & Commercial Photography. 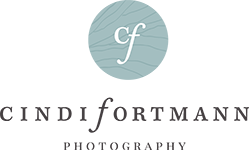 Cindi Fortmann Photography is a full service boutique studio providing you with a truly luxury portrait experience and exceptional customer service. Cindi Fortmann is a Certified Professional Photographer and a Print Artist. She is a member of Professional Photographers of America and is a PPA Charities Ambassador. She is also a member of Georgia Professional Photographers of America and has served as the Northwest Area Director. She is a member of the Johns Creek Chamber of Commerce. Questions? Please call the studio at 678.643.2388 or email us through the Contact Page by clicking here. To be the first to hear about the latest products and specials, subscribe to our newsletter by clicking here or filling in your information below!